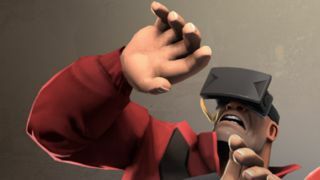 Browsing the web in virtual reality seems like a no-brainer until you stop and ask, 'Actually, how will it be any different apart from the hulking great box on my head?'. But Google sees a lot of potential in the idea, and so it's working to add virtual reality support into Chrome. As Google's Brandon Jones notes, sticking on a VR headset isn't going to totally transform the web experience as it is now, but it does give developers the opportunity to create some really interesting experience. Google's not the first to mix VR with web browsing. Last week, Mozilla made the first steps in adding native support for VR devices into Firefox - and Jones says that the Chrome VR functionality will be similar. The Chrome build supports Oculus Rift right now, but Jones adds that he's also hoping to add an SDK for Google's Cardboard VR headset too.